Come out, come out, come out! 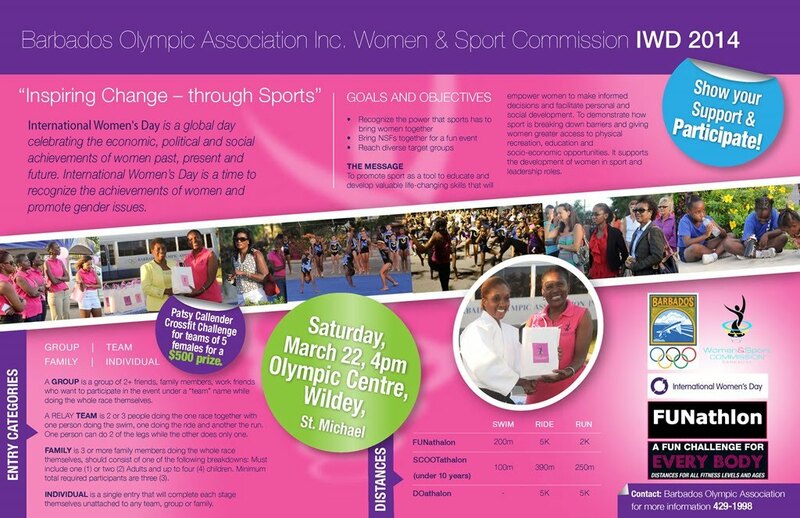 The Women and Sport Committee of the Barbados Olympic Association Inc. will be hosting the Patsy Callender Cross Fit Challenge on Saturday 22 March at Olympic Centre. Other fun activities as well - don't miss it! Contact the Barbados Olympic Association on 429-1998 for more information.